Hi Everyone! My name is Nicky Primetica. I was born on the 29th May 1989 in a city called Derby in central England. As you can probably guess, my surname is not a typical English name and this is because my family lineage is of mostly Serbian origin. I will try to give you a brief overview of my life up to this point in time and hopefully refrain from giving you my whole life story so that you don’t fall asleep! Looking back, I have lived a regular life and would class myself just a normal member of society who was just living life how they saw it. I went to school, hung out with friends, loved sports (particularly football, tennis and golf), video games, movies, music…the list could go on forever. As a child, I went to a Christian Orthodox church (main religion in countries such as Serbia, Russia and Greece) once a month, but this was not through any desire of my own. I did not take much notice or interest in what was being said or taught and much of the time was quite mischievous during the service. My dad has never been a religious or spiritual man and apart from being taken to the monthly church service by my mum, she did not force any kind of religious beliefs onto me to the extent many other children were exposed to, therefore, I have always been a fairly open minded individual when investigating other religious or spiritual paths. I went to university in a city called Nottingham and studied Sport Science. Upon graduating, I moved to London and briefly worked in recruitment. Very quickly I realised that this was not what I wanted to do for any significant period of time and for the next 4 years, I worked in the financial services industry, of course completely unrelated to my degree! During this period, I moved back to my home town, Derby for 2 and a half years and this was where my story with Divine Truth began. In July 2013, I was led to Divine Truth through a series of truly unbelievable synchronistic events which took place when a burning desire grew within me to discover who and what God really was, and if God really existed for that matter. I have therefore been following Divine Truth and attempting to live “The Way” since that point onwards whilst developing my huge love and passion for God in the meantime. Through my own personal relationship with God, I have learnt some basic truths about the universe as well as about myself. One cool truth that I discovered about myself, for example, was that God created my soul with a musical gift. I have been pretty blocked from an emotional perspective to music my entire life however I am currently in the process of experimenting with this truth that God shared with me by practicing on my guitar as often as I can. Although I am still strongly blocked to learning a musical instrument, it shows the goodness and nature of God to share the amazing truth of this gift with me which has been buried away deep down under all the dust and debris. In July 2014, I attended an assistance group in Australia offered by Jesus, Mary & Cornelius. It was an opportunity that I simply could not let pass me by and I was extremely grateful to meet and receive a large amount of invaluable, direct, personal feedback from Jesus & Mary in person. About a year or so later, I made a big decision to leave my job so that I could focus on my true passions and desires. Developing my personal relationship with and passion for God, sharing God’s Truth and assisting others are huge desires of mine, they are a big part of who I am and I would never ever go back to the guy I was and the life that I lived before I came across Jesus & Mary’s teachings. Besides, I have already made way too many decisions which would make that a complete impossibility now and I regret absolutely nothing! 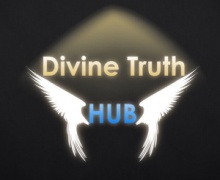 When I first came across Divine Truth and begun my journey, I’d have loved to have access to somebody who had been on the path for a number of years to examine what they had to say regarding a broad range of topics concerning “The Way” and how it has impacted upon their life. It would have been a valuable resource to get a real, raw view on things. This is one of the main motivations I had behind creating this website and my Youtube channel. As a caveat, I’d like to make it clear that I am a constant work in progress and therefore any information found on this site and on my YouTube channel is subject to potential misunderstandings of Divine Truth as governed by my current soul condition at the time. Where this happens, I will attempt to correct these mistakes as quickly as possible. Jesus, Mary and the directors of God’s Way Ltd extended an opportunity to a number of individuals including myself, to take part in a Divine Truth Volunteer Training Programme between 4th December 2016 – 19th January 2017 in Queensland, Australia. During this programme, we learnt a host of new information about eco projects, acting in desires, being of service to others to name but a few as well as receiving personal feedback throughout. As a result of this, I am now exploring other avenues in the hope of creating new projects which could assist in the sharing and growth of Divine Truth on the planet. I hope you enjoy the videos on my YouTube channel and find them beneficial to your personal journey as well as your time spent on this website.